At the Law Office of Kenneth P. Carp, we understand that employers do not have to accept unemployment taxes as an uncontrollable expense. Unemployment taxes can be controlled and in some cases reduced by using the “Carp Advantage.” We understand that there is more to your unemployment tax rate than the number of claims filed. Contact us at 636-947-3600 and learn about the range of services we offer to help control your unemployment taxes, which in turn helps increase your bottom line. Kenneth Carp and his staff know the variables which contribute to the tax rate employers pay. With our help, employers can control those variables and limit their exposure, beginning on the date of hire. In Missouri for example, employers can and should note new hires on their quarterly reports as “probationary” employees. In Missouri, if a probationary employee is terminated within 28 days, that termination is not included as a claim for tax rate computations and the claimant (employee) still gets to receive benefits. It’s a win-win for both the employer and former employee. Suitability of employment is another cost control tool for the employer. In Missouri, a claimant who quits within 28 days based on the position not being suitable gets to collect benefits without the employer being charged. Over the years our founder, Kenneth Carp, has seen employers protest claims that fell into this category. As with probationary employees, suitability can result in the payment of benefits without a charge to the employer. The opportunity to control unemployment taxes on a claim does not end with an unemployment hearing. A prudent and cost-conscious tool is for the employer to check the charge sheets it receives from the state taxing authority. Employers should verify that the claimants listed for accuracy. In addition, employers often know if a former employee has gone into business for him or herself, has been hired elsewhere or is on disability, which disqualifies that person from unemployment. 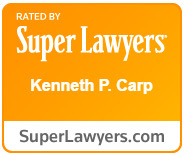 The Law Office of Kenneth P. Carp can provide in-house training or perform an internal review in order to teach you how to control expenses. These services are in addition to representing your interests with unemployment appeal hearings. Contact Kenneth Carp at 636-947-3600 and learn how a partnership with us will control your costs.